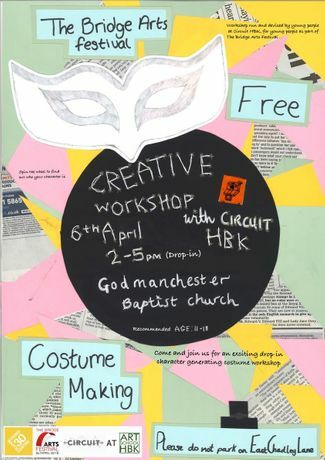 Come and join us for an exciting drop-in character generating costume workshop, where you will be able to explore and play with new materials, while connecting with the people and stories around you. No experience needed, you will be guided by members of Circuit HBK, a group of young people based at Hinchingbrooke School. This drop-in workshop will run from 2pm – 5pm at the Godmanchester Baptist Church and is completely FREE. Event run as part of The Bridge Arts Festival. For more information about the festival, please click here.